London, 26 September 2018 – LATAM Airlines Group was named as a ‘Five Star Global Airline’ for its in-flight experience in the APEX 2019 Airlines Official Ratings, announced in Boston, Massachusetts on 24 September 2018. 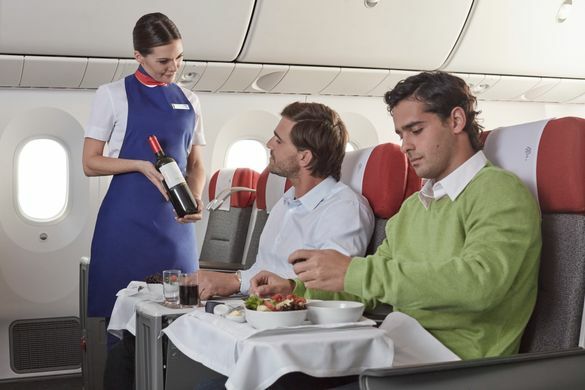 LATAM was the only South American airline group to be named as a ‘Five Star Global Airline’, which is APEX’s highest accolade in its annual ratings – one of the aviation industry’s most respected benchmarking tools for onboard experiences based on independently assessed passenger feedback. Between July 2017 and June 2018, passengers rated more than 500,000 flights of airlines worldwide with criteria including overall experience, seat comfort, cabin service, food and beverage, in-flight entertainment and Wi-Fi. In August 2018, LATAM Airlines Group unveiled its plan to transform the cabins and travel experience of two-thirds of its global fleet over the next two years with a US$400 million investment. As part of the development, the company will offer a new Premium Business cabin for long-haul flights and the opportunity for economy passengers on all flights to upgrade to LATAM+ Seats, offering greater space, dedicated overhead bins and premium services such as priority boarding. “LATAM is the only APEX Five Star Global Airline in South America for a second year in a row and its commitment to an incredible passenger experience shines through in the countless thousands of flights rated by its passengers in the only verified, validated, and certified ratings system in the world,” added APEX CEO, Joe Leader. The Airline Passenger Experience (APEX) is a non-profit member organisation that has worked over the past four decades to evaluate and help improve all aspects of the airline experience from designing, building and installing seating, entertainment and communications systems on commercial aircraft, to airport lounges and inflight dining.